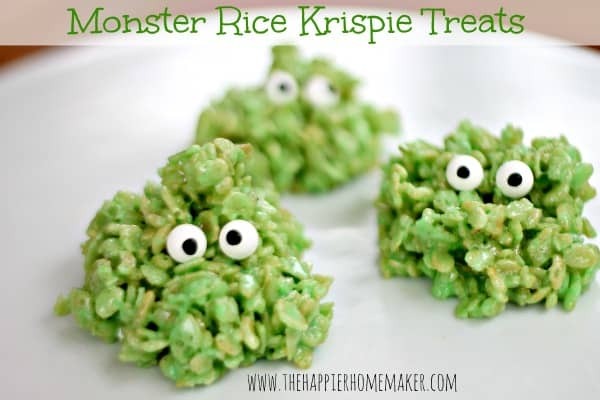 I have the cutest (and easiest) fall treat recipe for you all today! 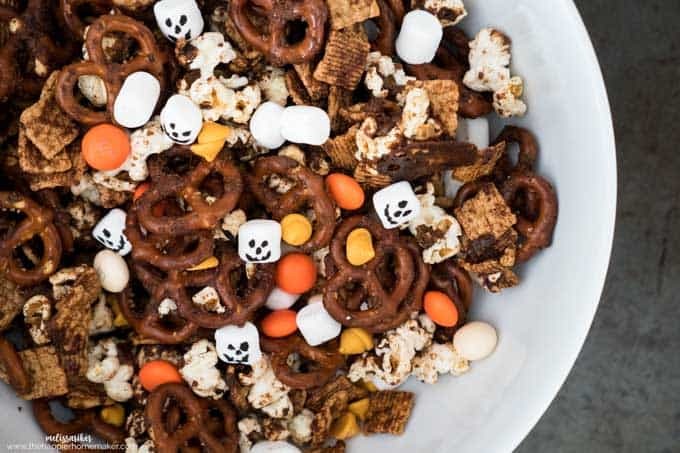 Last week I whipped up this fall snack mix for my three boys as an after school surprise and I kid you not-it lasted all of a half hour before they had eaten the entire bowl. (I may have helped a little!) 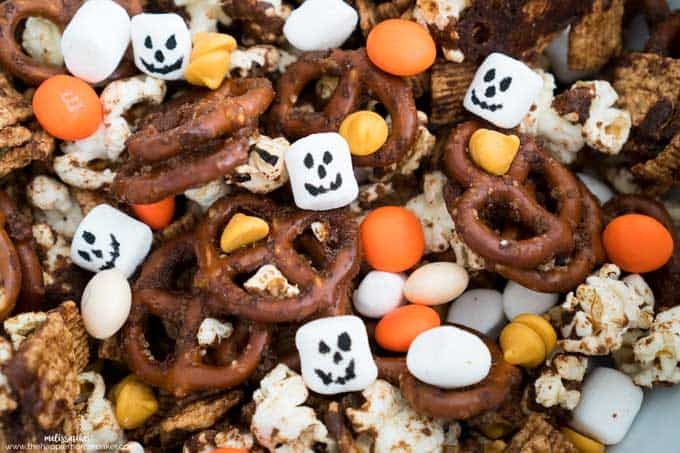 Like any good snack mix this recipe has it all-salty, sweet and since it’s an autumn version of course it has Pumpkin Spice!! 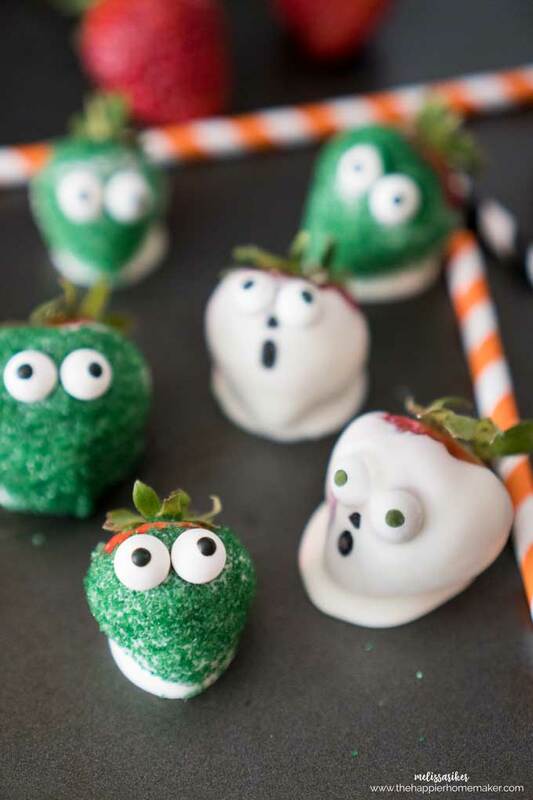 I made it extra fun by using an edible pen to draw little skull faces on some of the mini marshmallows and it was hilarious how much my kids liked that little extra touch! Pumpkin Spice Snack Mix is the perfect fall treat recipe- easy to put together with all your favorite autumn flavors! In a large bowl combine cereal, pretzels and popcorn. In another small bowl mixed melted butter, brown sugar, vanilla and pumpkin spice until thoroughly blended. Pour over cereal mix and stir well to coat. 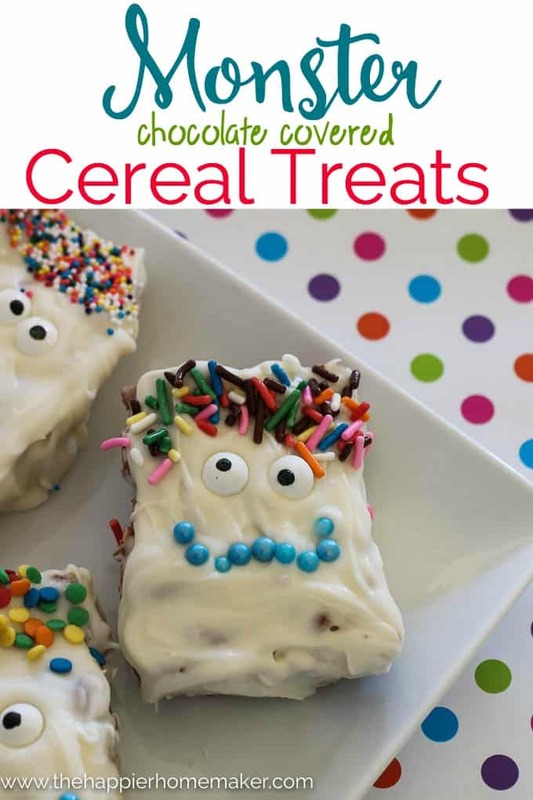 Spread cereal mix onto prepared pan and bake 30 minutes, stirring halfway through. Remove from oven and allow to cool completely. 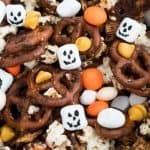 Once cool mix with M&Ms, pumpkin spice morsels and marshmallows. 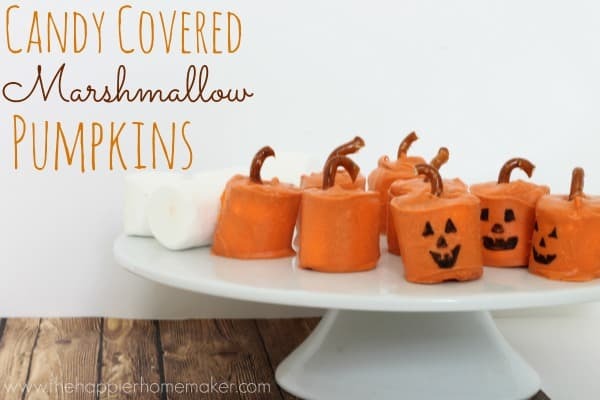 For Halloween use an edible pin to draw “skeletons” on mini marshmallows if desired. 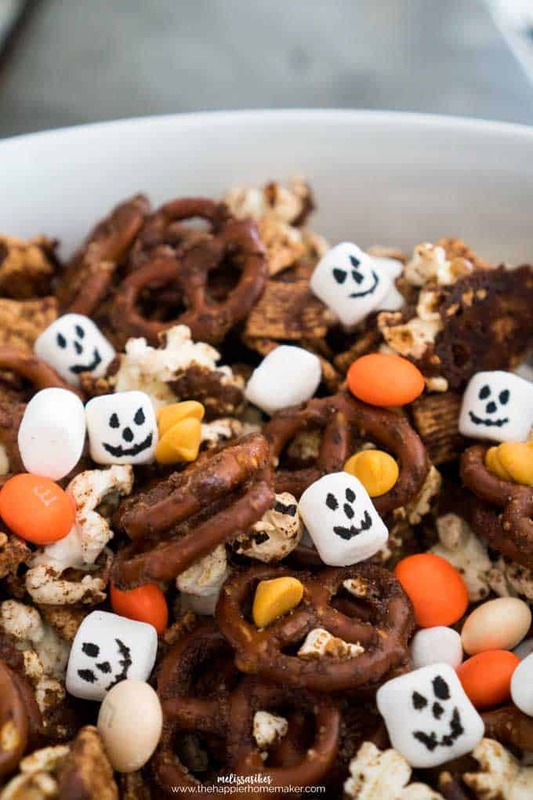 I think I’m due for another batch of this snack mix already! Let me know what you think of it in the comments!